Do you need a Loudoun Water Hydrant Meter? Thinking of digging on your property? Miss Utility is your partner when it comes to safe digging! Miss Utility is a free one-call notification center that informs subscribing facilities and utilities, like Loudoun Water of proposed excavation. Having a variety of utility services could mean you have lines and pipes running underground - do you know where they are? 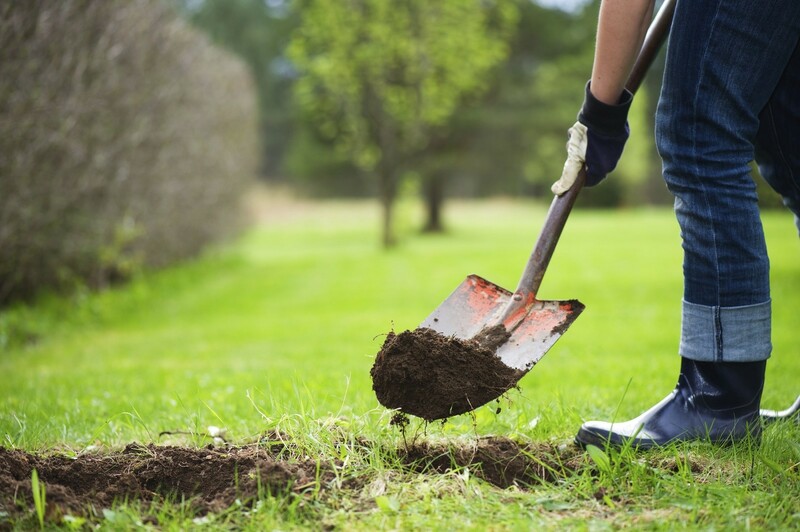 If you plan on any type of excavation or digging on your property, Miss Utility can help. You can make a request by visiting the Miss Utility website or by calling 811 or 1-800-552-7001. Hitting an underground utility can harm the environment, cause serious personal injuries, disrupt service to an entire neighborhood, and potentially incur fines and repair costs. Every six minutes an underground utility is damaged because someone decided to dig without being informed. Virginia law requires utilities or their contract locators to mark the approximate horizontal location of their underground utilities within 48 hours beginning the next business day after you call 811. If you are planning to do work in your yard on Saturday, call 811 no later than Tuesday so that your utilities can be marked. Private utility lines will not be marked. The term “private utility lines” refers to the portion of an underground utility that is generally located on private property between the meter and the building. In the case of water service lines, the meter is often located underground in a “meter box” at the property line. The water pipe from the meter box to the house is owned by the homeowner. The homeowner is responsible for maintenance of this line including repair of leaks and locating prior to excavation.In some localities, the underground sewer line from the main line in the street to the house is owned by the homeowner and is a “private utility line.” Other examples of “private utility lines” are: lawn sprinkler piping, invisible pet fence wires, electric wires to lampposts or outbuildings, and propane lines from the tank to the house. Visit the VA 811 website for an explanation about private utility lines. A list of underground utility line locating contractors can be found under the Resources tab on the VA811 website.